This is super simple. Kids get a sheet of paper. Fold it into 8 squares (or more). 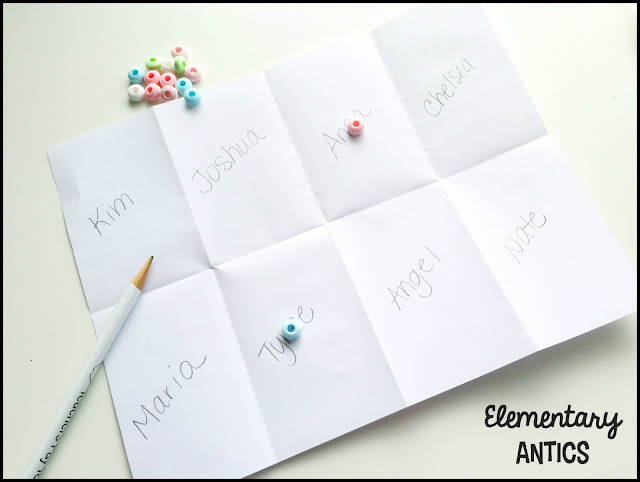 Then, they go around the room and fill in the boxes with different names from friends in the class. I have them walk around so they can get some movement in and look at each other's name tags on desks to spell them correctly. Then, I handout some Skittles (because...Skittles, duh!) to use as place holders and we play name bingo. Depending on how many squares we've used we'll play different ways- a row, the whole card, etc. 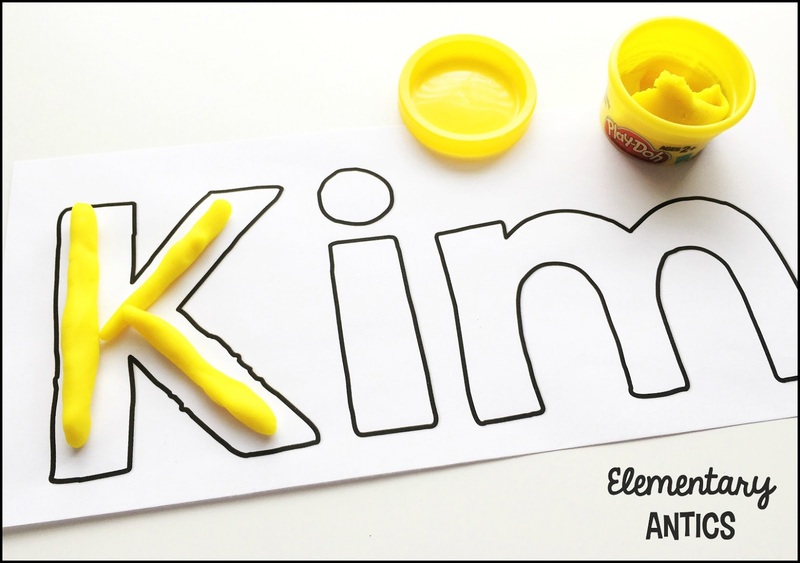 I liked to use this as a fun little transition activity the first day or two of school. You know how so much of those first few days are lots of talking about and practicing procedures and it can get a tad boring at times- this game just spices things up for a few minutes. I've done this one two ways: One- I just gave the kids a regular size 8x11 piece of white construction paper and they had to write and decorate their name BIG (cover the paper). I always showed an example that I had made where I used a lot of color and details to design and decorate as a model, so they knew I really meant BIG and detailed. Two- I made and printed their name (great tutorial on how to do this) on the page and they had to decorate it. I usually used this activity the first day or two of school. While the kids worked on this I was able to do some DRA's, running records or other beginning of the year conferencing or testing that I had to do one-on-one. Then, I displayed their name art around the classroom for Open House later that month. 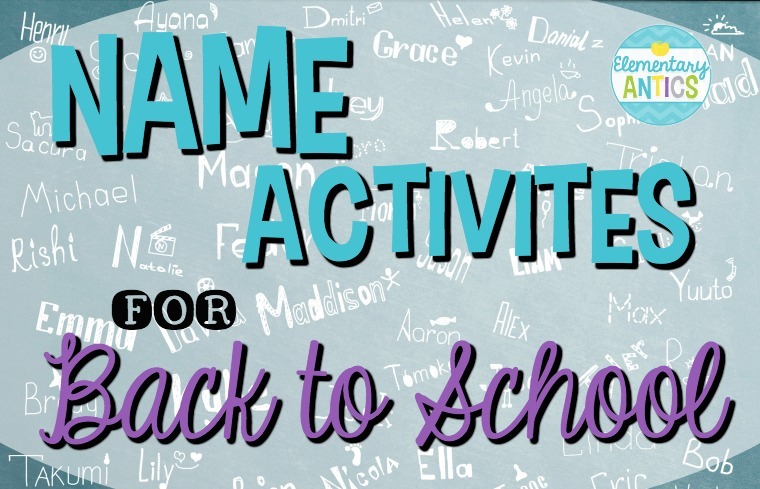 Still looking for some Back to School ideas? Definitely check out my other Back to School resources!! I always started out the year with all of my students names on the Word Wall in my classroom. In 2nd grade, I did word work with our word wall words daily. One thing we did was a physical activity with the word. We would snap it, clap it, stomp it or cheer it. This went something like this- we would say the word, then clap (snap, stomp or cheer) each letter, then say the word again while we clapped the syllables. Then, the kiddos would write and box around the letters of the word in their word work notebooks. We did this with everyone's name the first week or two of school. Each student would pick what movement they wanted to do with their name, so they liked that. Plus, they learned how to pronounce and spell each person's name as well. 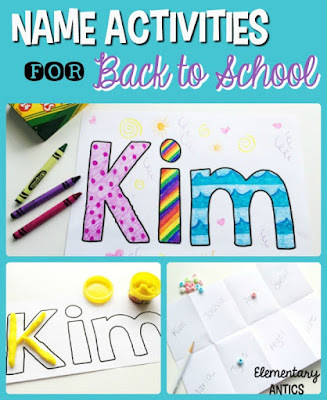 I love this idea for the first day of school. I would make a name card (similar to how I did it for the decorating names paper, but smaller) and put a little can of Playdoh on everyone's desk. They could manipulate the Playdoh to spell their names. 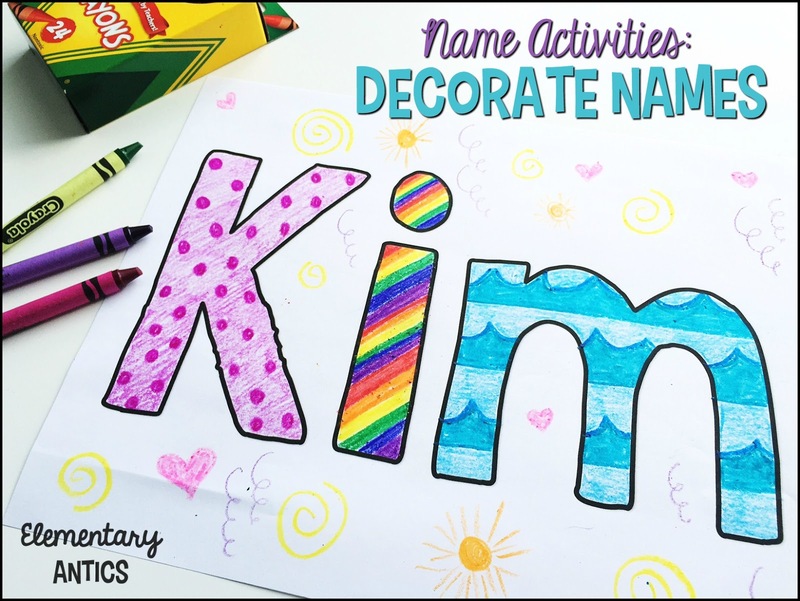 Super easy, all ages love this and keeps them busy while you are dealing with all the "first day of school stuff" we always have to do. Another fun thing for the first week of school, Open House or your back to school display are these super cute All About Me Lapbooks. There are so many fun facts for your students to fill in. Parents will love reading these too (and they make great mementos). This is super cute! Thank you for sharing your ideas! Thank you for the bingo idea and the BIG name activity! I'll use these with my fourth grade class next week!